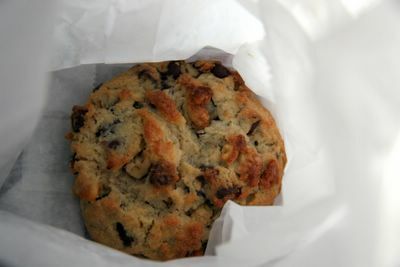 Roboppy brought me her favourite cookie in the world from the Levain Bakery. Thanks! And sorry to those who couldn't make it, especially those who had to pull out at the last minute including Debbie who had baked me low-fat cookies before finding that the battery on her car was flat, and Rose who caught a cold whilst on vacation and didn't want to pass it on to us. Until next time? 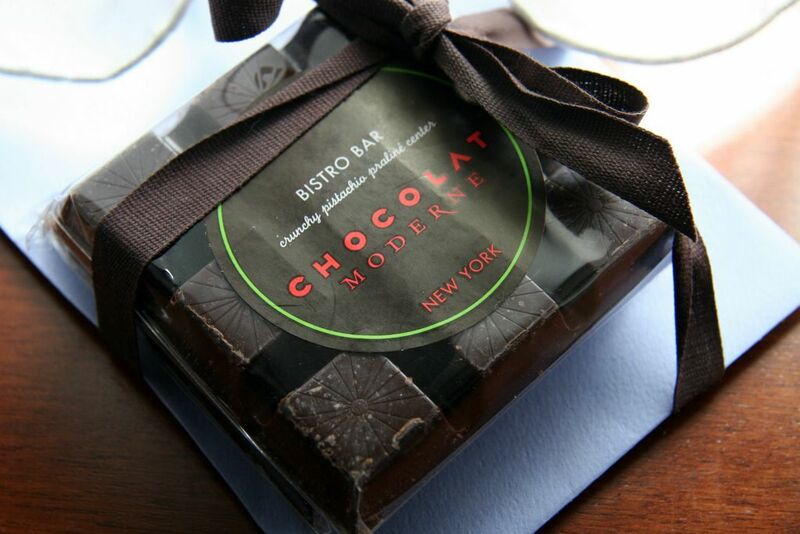 And more thanks to Julie who brough me Chocolate Moderne from the Bistro Bar. Love your blog. It's so nice to see a site dedicated to something worthy of writing about. There is some sad boring stuff out there. Thanks for your hard work. I just stumbled on your blog this morning and it really looks fantastic! Thanks again for a lovely afternoon. I posted about it as well. Enjoy your NYC stay! Thanks for inviting me! I haven't written up my blog post about it, BUT I WILL! OH YES! After I edit all these photos. I hope you liked the cookie! It's the stuff of my dreams. And my increasing girth. What could be more convivial and auspicious than chocolates and strawberry-coconut caipir. . . capir . . . those strawberry-coconut drinks in such wonderful company? Many thanks for this afternoon and your continuing awesome blogging. I like the look of both of them. With so many great snacks in one city, I think it is time I visit New York!